Craving some immersion in nature, but not up for a lot of hassle to make that happen? You're in luck: Cody has a bounty of trails that are convenient to downtown while offering a welcome escape into the outdoors. Some will test your lung capacity, others almost guarantee a wildlife sighting, and all come with spectacular views. 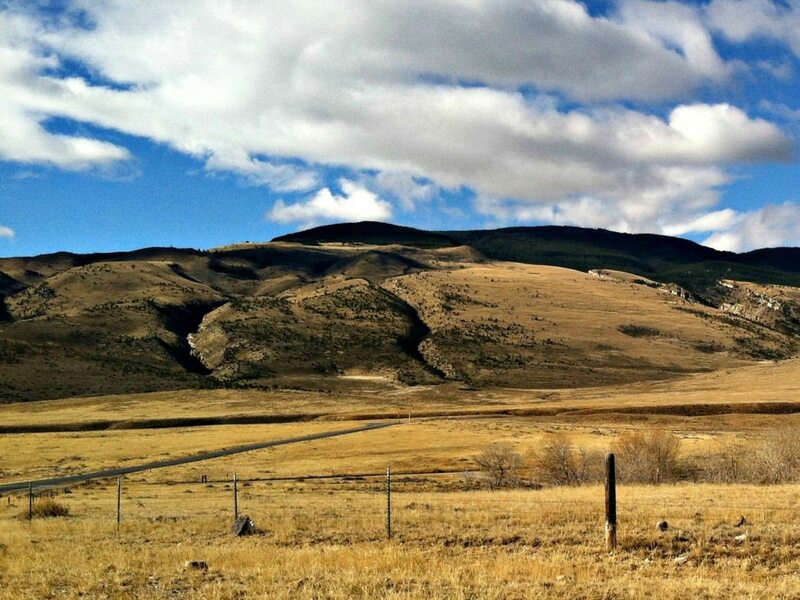 These four great hikes close to downtown Cody offer plenty of reasons to lace up your hiking boots. Perched on BLM land just east of town is the Bluebird Trail. You can access this trail at the end of Sunset Rim Road, which is 5.2 miles from Cody on Highway 16 or the Greybull Highway. Look for the turnoff on the right just past Sage Creek Road. Drive to the end of the road and park before the gate. This trail pretty much forms a rectangle: up, across the ridge, then down and back to the car, coming in at about four miles. From the car you can either turn left up the two track or go straight. The ascent to the ridge is steep either way, so expect to be sucking some air. After you catch your breath at the top, you’ll get awesome views of Oregon Basin and the Big Horn Mountains as well as south to the Owl Creek Mountains. 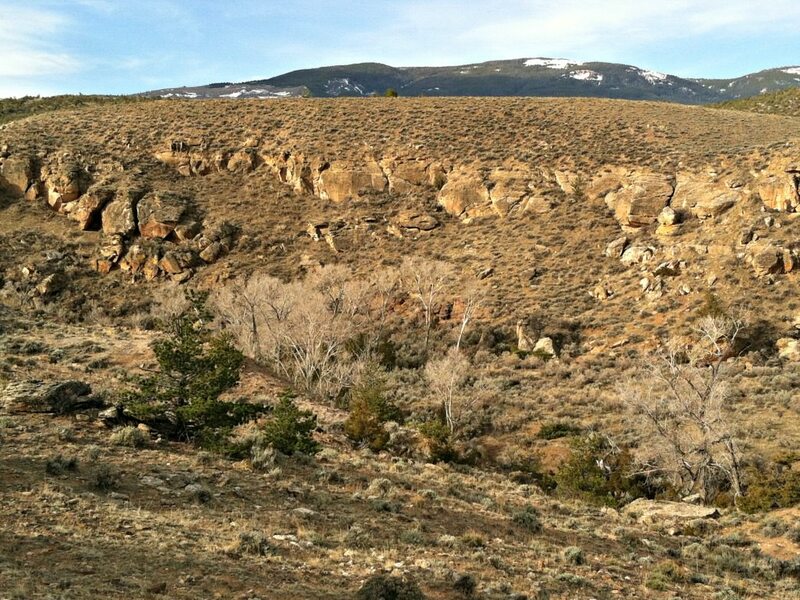 Walking this hike gives you a better understanding of the term “basin and range topography”. The trail is used by horse riders, ATVs, mountain bikers as well as hikers and can be rocky and slick in spots. Don’t be alarmed, but you might hear shooting—there’s a sighting bench just off the trail on the southern end. Stay on the trail and you’ll be fine. Hike this trail early in the morning and you’ll probably see mule deer, antelope, and owls, and hear the sweet song of canyon wrens and sage thrashers. Plus you might be out before the rattlesnakes wake up. 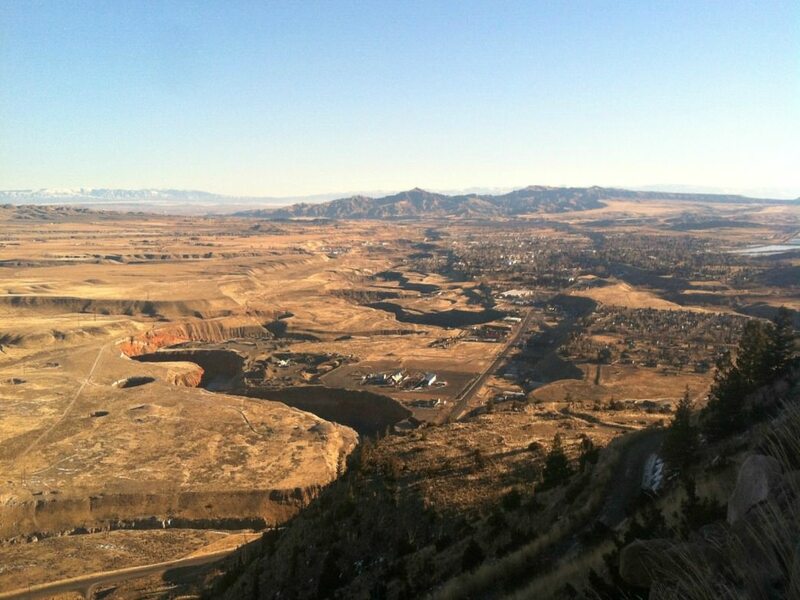 If you haven’t hiked Cedar Mountain, you’re missing the best short workout in the area. The first mile of the road is steep—very steep. And it’s all uphill to the top, a little over 3.5 miles. The road is the easiest way to get to the summit but there are side trails you can venture on. There’s no single trail to the top, but if you always head up you’ll eventually get there. Near the summit, check out the entrance to Spirit Mountain Caverns on Cedar’s northeast shoulder. The caverns were at one time listed as a national monument. 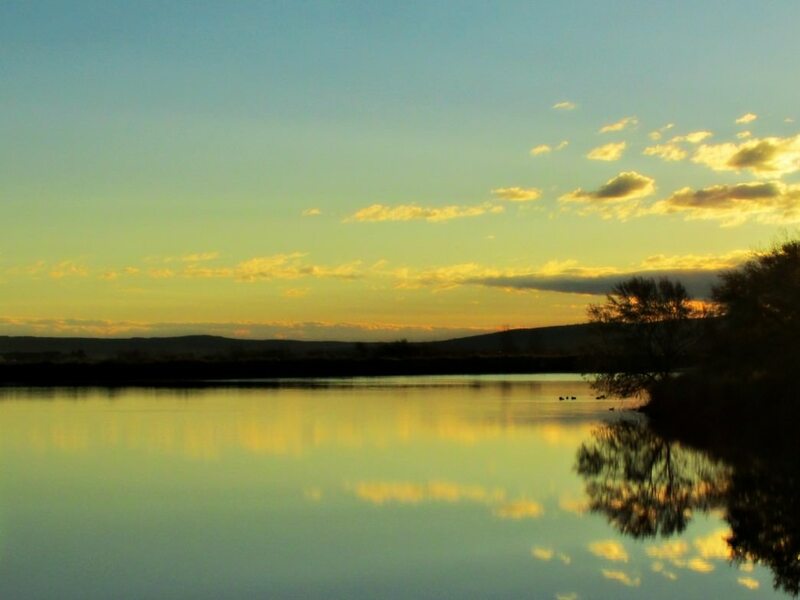 There’s a paved walking path all the way around the upper two lakes at Beck Lake Park, but for the best hiking, venture off the asphalt to the BLM land south of the lakes. Access this trailhead from the east end of the paved trail and then head south. Technically these are mountain bike trails, originally carved out of the sagebrush by the hooves of grazing cows. You can choose which trail you want to hike, opting for flat land or climbing up onto the slick rock of the ridge. If you follow the main trail to its end, you’ll almost intersect the county landfill road at 6 miles one way. Views of the Upper South Fork and Carter Mountain provide all the visual candy you need. You’ll get a nice workout and amazing views on this trail. 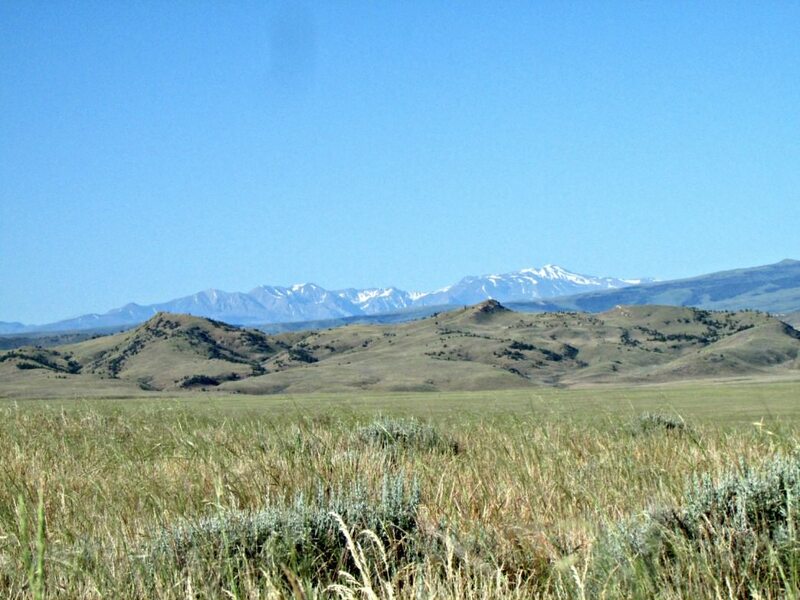 North of Cody is the Outlaw Trail and its many offshoots. This is beautiful sage, juniper, and red rock country. Isolation is the name of the game here, and although you’re only five minutes from town you may not have any cell service. These trails are frequented by hikers, trail runners, and mountain bikers as well as coyotes, eagles, rattlesnakes, and even bears, so don't forget the bear spray. You’ll find the Outlaw Trail just east of Newton Lake. There are several parking areas; chose one and head north. Stay to the west side of the drainage and high on the slope. There’s private property to the west so pay attention to fence lines. You can wander this area taking whichever trail you want, exploring incredible rock canyons, and even finding a natural arch. Spend a couple hours out here or a good half day.